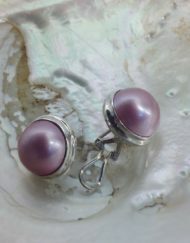 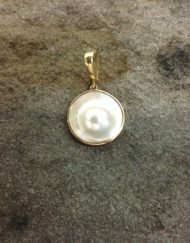 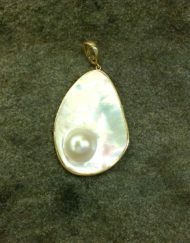 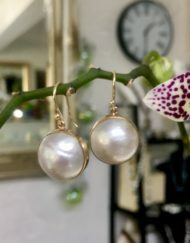 Mabe pearls are cultured by placing an insert on the side of the shell, and allowing the shell to grow over this area. 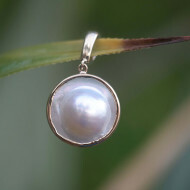 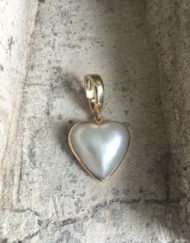 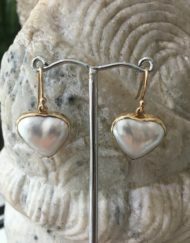 The flat back of the pearl is ideal for pendants, earrings and rings.They were first cultured in the 16th century by buddhist monks, who cultured images of the buddha. 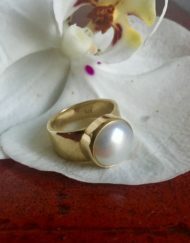 These are still available today.